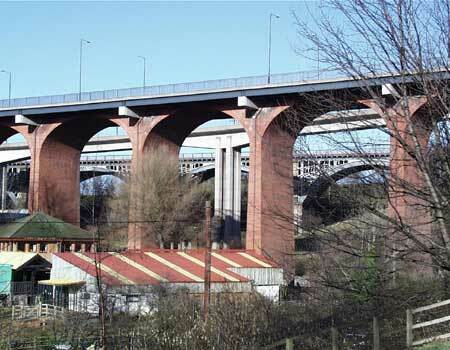 Three of the bridges over the Ouseburn between Newcastle and Byker. Three of the bridges that cross the Ouseburn between Newcastle and Byker. The Ouseburn runs through Jesmond Dene and Heaton Park before joining the River Tyne.